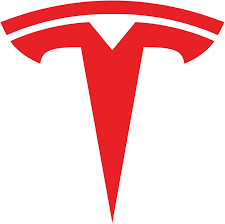 Really we have a Tesla (NASDAQ:TSLA) 2019 stock price target of $1,343 so when we heard Ark Invest's $4,000 target we thought we must be just way too low. If you backed into the numbers for Q2 you saw S&X gross margins jumped to 37% or so, up 1100 basis points from Q1. Bears made up stories why that's bad, right? And you can start believing Tesla on their targets because those S&X gross margins were the real deal. It's happening. Yes some of it's on the come but S&X gross margins were too big. We do simple trajectory analysis to see where the numbers are going. We've been doing it for 25 years. Tesla's story is about to hit serious earnings inflection. There aren't that many companies doing what Tesla's about to do with this earnings inflection. We're looking for them and there are not that many out there. And earnings are the primary driver for individual stock price performance. I can't believe how bearish everybody is. I think everybody's so stuck in the mud being bearish, emotional and negative that they can't honestly look at that Q2 S&X gross margin jump which tells you, uh oh, this is happening. Sorry shorts. $420 is taking Tesla for a song. It's way too cheap. I hope they don't get away with it. Would you give Tesla a 50 PE for earning our $26.87 in 2019? If so you get a $1,343 stock price. The sell-side's under $3.00 for next year. Way off. No wonder Musk's trying to nab this one on the cheap. Everyone's missing it. So yes, $1,000 in 1 year and Ark's $4,000 in 10 years. That would be a 40% return a year. Not bad, right? But Musk wants much more of that upside to himself. Can you blame him? Is Ark nuts for their $4,000 target? No. Reuters ranks us for our estimates. We earned 4/5 stars. We don't pull this stuff out of thin air. Unless they jack up operating expenditures Tesla has a real shot of blowing away the Street estimates. Isn't that the type of stuff we're all looking for? We spoke to the top tech companies over the last few months to identify what tech stocks have home run earnings potential. Earnings are what drives stocks, especially tech stocks. Finding those few tech stocks that have realistic earnings trajectories way above the Street can give you conviction to see a stock through to big upside. Dip your toe in the water with a free trial. All investments have many risks and can lose principal in the short and long term. The information provided is for information purposes only and can be wrong. By reading this you agree, understand and accept that you take upon yourself all responsibility for all of your investment decisions and to do your own work and hold Elazar Advisors, LLC, and their related parties harmless. We have no holdings in the stocks mentioned unless otherwise noted. Get the proper details of Tesla Car from Xrack.us which is the store for Tesla accessories and get the tesla x hitch cargo carrier, tesla cargo bag and Tesla hitch rack and other cargo carriers in the reasonable cost. Thanks for sharing this valuable information with us. Looking for the online store for your car equipment then Auto Shop Lifts provide a huge range of auto garage equipment at a economical prices.